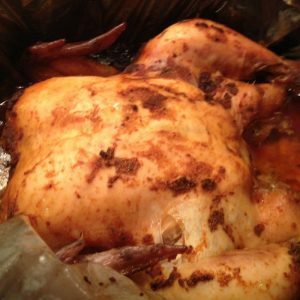 Easy Chicken Recipe Crock Pot Rotisserie-style Chicken is just as good as any rotisserie chicken you pick up at your grocery store. I love the 2nd Monday of the month when it is once again it is time for the Secret Recipe Club reveal. So fun to go through other food blogs and find a recipe to try. Even more exciting is to see what others thought was an interesting recipe to try off my blog. It is not revealed until today so here we go! This month’s assignment was CMOMCook. Shelly is the owner of the blog and loves to cook and share recipes that her family enjoys. Be sure and check out her blog for family friendly and easy weeknight dinners. 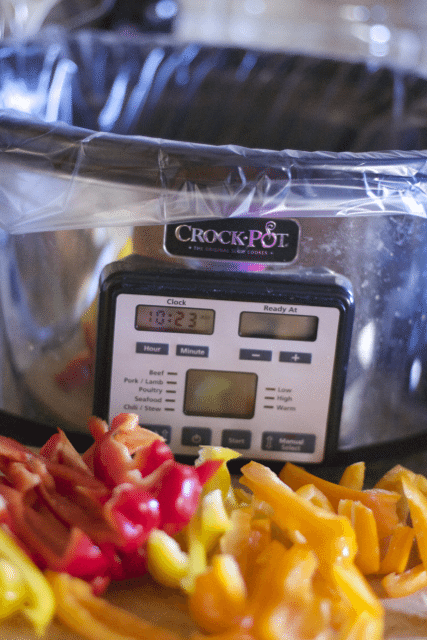 Speaking of easy weeknight dinners, I could not resist this low maintenance, little preparation but big wow factor Crock pot Rotisserie style chicken recipe Shelly has on her blog. I am all about easy prep and little effort dishes on busy weeknight. Keep the fancy stuff for the weekends. Easy Dinner recipes are a top priority in our house. I used an Organic Chicken so the cost was higher than a traditional Rotisserie chicken for the market but I also got to control the seasonings and limit the amount of salt and unnatural flavorings that could have been added in a pre-made chicken. Rubbing your chicken inside and out–Be sure to clean your hands before and after. Slicing and eating. It was so moist the meat truly fell off the bone. I added some sautéed vegetables and dinner was served!! 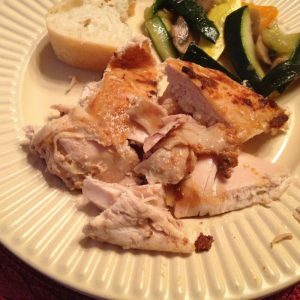 Love this great easy chicken recipe for an easy and healthy dinner! Be sure and check out the other great recipes from Group B today in the linky below. Place all of your ingredients in a small bowl and stir in water by the teaspoon until a paste forms. 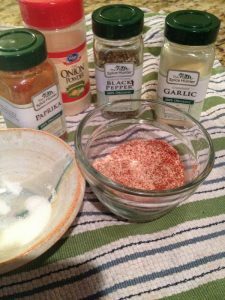 Or, as I did, you can combine the garlic cloves and spices in a mini blender and blend everything together, adding water to achieve the right consistency. 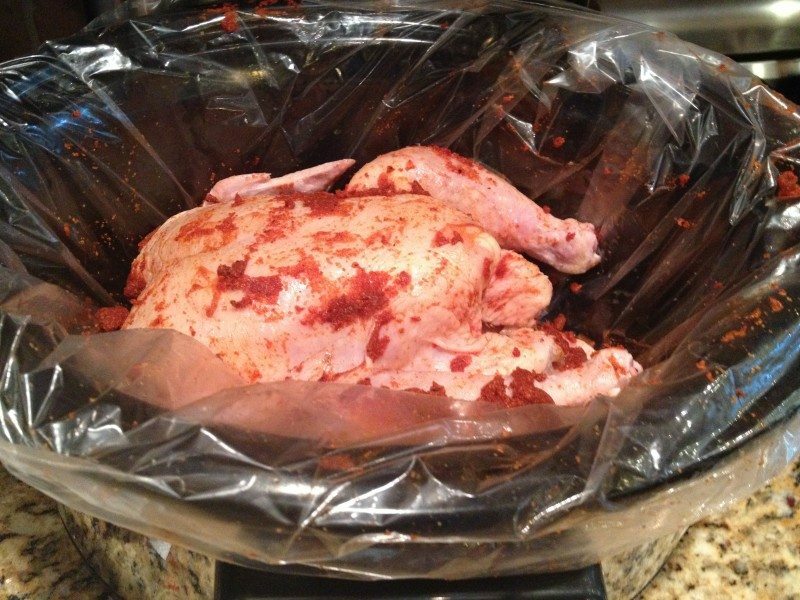 Spray your slow cooker with cooking spray or use a crock pot liner and place the chicken in, breast side up. Coat the chicken inside and out with the paste. Cover and cook on low 6-7 hours or on high 3.5-4.5 hours. Make sure the thickest part of the thigh registers at 180 degrees. That’s a pretty tasty looking chicken! I have never seen crock pot liners. I’ll be sure to look for them next time I go shopping. This looks so good and I have all the ingredients in the house. I make all my protein for one week in one day so this would be a great recipe to try. Great recipe. I am going to try it. I love cooking in the crock pot. Thanks. 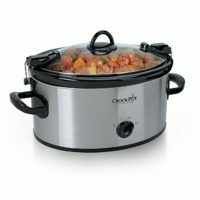 I have never roasted a chicken in the crock pot before – that looks amazing, I will have to try it. 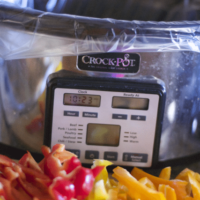 I’ve been meaning to try a crock pot chicken but haven’t yet, this sounds so yummy! I have made whole chickens in the crock pot before but this was our favorite by far. I’ve done many dishes in my slow cooker, but not rotisserie chicken. Wow, what have I been missing? Looks fabulous! Oh, yay, I am so glad that you enjoyed this recipe! Your chicken looks perfectly moist and delicious. Thanks so much for your lovely post! Yum! This looks like the perfect reason to pull the crockpot out of hidden storage and put it back in use. Love making these— so easy and SOOO tender and delicious! That looks so good. I know I’m going to be trying this soon. I am so excited to get this recipe, I am sure I will make it over and over. Great choice for the SRC, have a fun day! I love making chicken like this. It looks so moist and delicious! Great SRC choice! One of my favorites! I just made this last week. So good! I love cooking whole chickens in the crock pot. Turns out so tender and delicious! 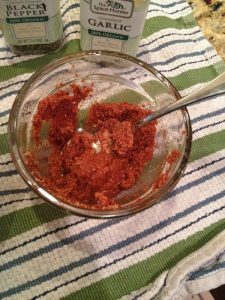 I’ll have to try this spice blend – it’s different than what I normally use. Great SRC choice!